Environmental traumas are here. Global climate is a reality that is bringing extremes in weather as we have seen recently with the devastating impacts of Hurricane Sandy in the northeast of the USA. And in the last several years there have been massive earthquakes that have devastated cities in Japan, Haiti and New Zealand. To manage the effects of these traumas on the urban environment, we first must identify the socio-ecological drivers governing the urban ecosystems and then ascertain the degree of departure of the “new-normal” state from the pre-trauma conditions. Individual and institutional responses set the trajectory of recovery and subsequently create a “new-normal” not only for ecological but also social systems. The Christchurch earthquakes that began in September 2010 provided a unique opportunity to address the impacts of traumas on the urban environment and in particular, identifying “resilient” components of coupled ecological-social systems. 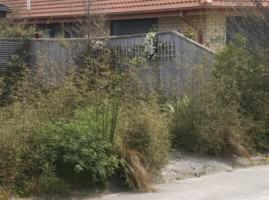 In this blog I will outline a study focussing on urban vegetation succession post-earthquakes. 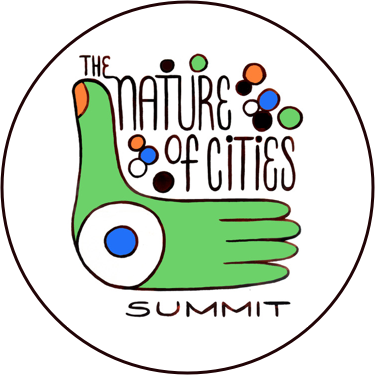 In later contributions I will update the findings of this study based on further data analysis and discuss other aspects, such as the effects on urban fauna, and implications and options for future urban greening thru ecological design. A shallow earthquake of 7.1 magnitude struck the South Island of New Zealand at 4:35 am on 4 September 2010. The quake caused widespread damage and several power outages, particularly in the city of Christchurch, New Zealand’s second largest city. 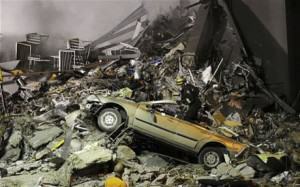 Mass fatalities were avoided as the quake during the night when most people were off the street. 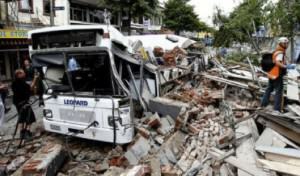 Aftershocks have continued into 2012 with some causing significant damage themselves. The strongest to date, of magnitude 6.3, occurred on 22 February 2011. Because this was centred very close to Christchurch and it occurred during the day, it was much more destructive, with 185 fatalities. 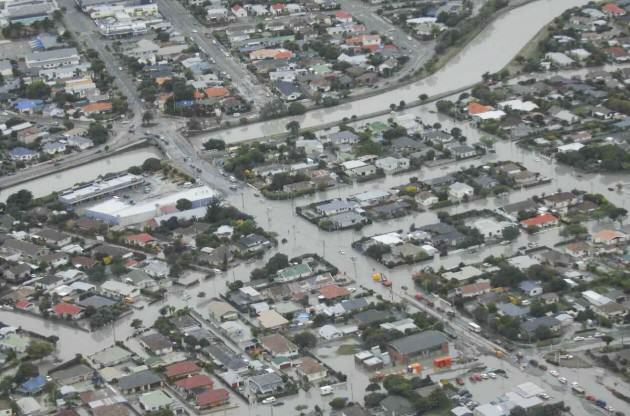 Significant liquefaction affected the eastern suburbs, producing around 400,000 tonnes of silt. The total cost to insurers of rebuilding has been estimated at NZ$15 billion, making it by far New Zealand’s costliest natural disaster, and the third-costliest earthquake (nominally) worldwide. In the aftermath of the earthquakes (and there have been >12,000 aftershocks as I write this) significant decisions meant that several parts of Christchurch city would not be re-built as the ground was deemed too unstable. 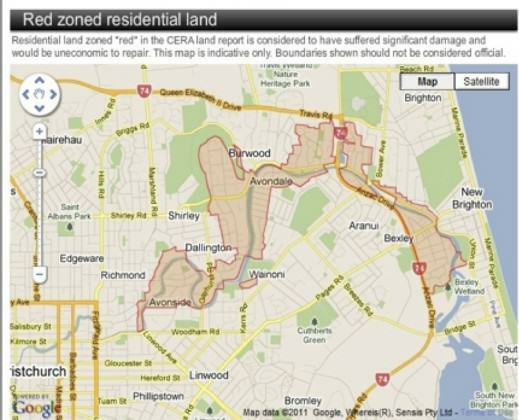 This residential “red zone” (see the map below) includes over 7,000 residential properties which have been abandoned and are being progressively demolished. 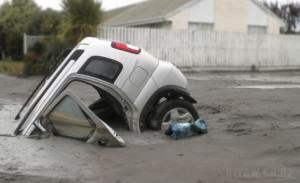 Liquefaction in the eastern suburbs of Christchurch. http://www.ngdc.noaa.gov/hazardimages/picture/show/1432. Credit: New Zealand Defence Force. The Christchurch residential “red zone” along the Avon River in Christchurch. The CBD is at the bottom left of this map. 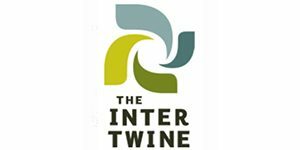 Credit: http://www.headliner.co.nz/news/6433.html. Various volunteer groups have been collecting ecological information on the area, particularly on the occurrence of notable mature native and exotic trees that should be preserved. The majority of the properties in this zone were abandoned after the earthquakes in September 2010 or February 2011 with little or no subsequent maintenance to gardens and road verges. We sampled 100 properties over 9 suburbs with a view to determining the regeneration responses of native and exotic woody tree and shrub species after abandonment. 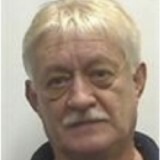 The regeneration of native species has been rapid and, in some situations, prolific. Native Plagianthus regius (lowland ribbonwood) seedlings 1.5m tall established on silt (liquefaction) in the front garden of a residential property. Photo: Glenn Stewart. In the absence of garden management we are seeing a “new” vegetation dynamic driven by new substrate availability, dispersal of seeds by birds, and the presence of surviving seed sources. The most common native seedlings are cabbage tree (Cordyline australis), Coprosma spp. Pittosporum tenuifolium, P. eugenioides and Solanum aviculare, all of which have fleshy fruits and are dispersed by birds. There has also been a dramatic increase in seedlings of exotic species as well. Examples include Scotch Broom (Cytisus scoparius), Elderberry (Sambucus nigra), Prunus spp., Sycamore (Acer pseudoplatanus), and Buddleja spp. This is not surprising as disturbed substrates and a high light environment provide an ideal environment for exotic invasion, especially if persistent seed banks are already present. Substantial planting of native trees and shrubs in city residential gardens over the last several decades has provided a seed source for this regeneration. Seedlings are more abundant in suburbs with more mature native trees and also with greater numbers of “perch” trees (for bird-dispersed species). There was also a distinctive pattern of compositional change in native species (seedlings) with increasing distance from the coast. For example, the dioecious shrub Coprosma repens (naturally a coastal species) was more prevalent close to the coast. Prior to the earthquakes this species would not have been as common as it is not regularly planted in residential gardens. But after property abandonment it is increasing rapidly as a result of natural successional processes. 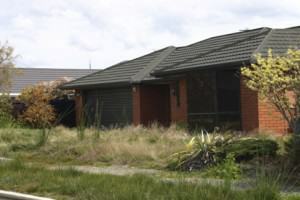 A typical “abandoned” property in the residential “red zone”, Christchurch. 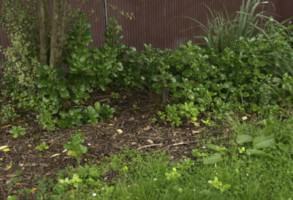 NB the front lawn now resembles an unkempt pasture and contains abundant exotic herbaceous and woody weeds. Photo: Glenn Stewart. Early indications are that the native flora is remarkably resilient. So much so that it seems certain that in the absence of human interference a substantial native-dominated urban forest will establish in the residential “red zone”. On the other hand, vigorous and intensive on-going management will be required to control exotic species that are both adaptable and aggressive. The introduction of other native species that currently lack a seed source would also increase biodiversity and offer other important food sources for native birds, lizards and invertebrates. 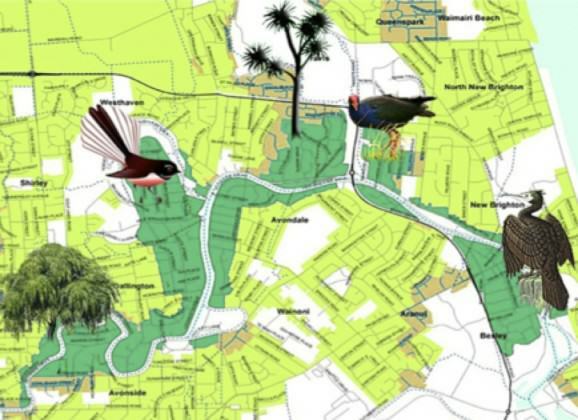 This area (Avon-Otakaro) has the potential to add to the rich tapestry of natural habitats in the city and become an area of considerable native biodiversity. The preliminary results from our pilot study highlights the need for further studies of vegetation dynamics in urban landscapes and the nature of chronic and catastrophic disruption on the mechanisms of and management of vegetation within the context of dynamic physical, social and ecological systems. The urban environment and community are key indicators and drivers of a nation’s adaptability and resilience to catastrophic events such as earthquakes, fires, floods, tsunamis, dust storms and hurricanes. Yet the urban environment is often ignored or is an afterthought in planning even though accessible and diverse green space is regarded as a predictor of human health, happiness, equity, and biodiversity. In fact, the value of urban green space and more specifically biodiversity is critical to providing ecosystem services, services used by humans to survive and live and achieve resilience in the face of impending global disruption and despite the coming associated environmental and economic trauma(s).